It has an array of production location choices from third world through to cutting-edge post-modern design. The country offers locations as diverse as the Caribbean's highest mountain the Pico Duarte, the sun-drenched south beaches with powder white sand and crystal clear waters, the country's interior which includes pine crested countryside with white water rivers, the breathtaking western deserts and the charm of the north's countryside and Victorian architecture. And of course we can never forget the Capital City of Santo Domingo and her Christopher Columbus era Architecture unrivalled anywhere in the entire world. 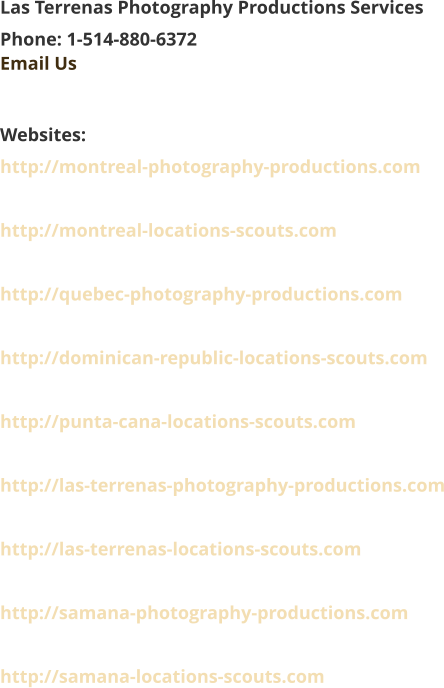 Las Terrenas Photography Productions has an extensive knowledge of the best the Dominican Republic has to offer and will enable an efficient and relevant choice of location for your photography production. We scout locations for you, and supply you with digital images and a detailed logistical recce where required. If your deadline is tight, we will upload images and information to a secure site on the web, instantly accessible to you and your production team. This means that you can squeeze every valuable minute out of your schedule and collaborate with your team no matter where they are. Once you've chosen the locations we'll prepare and submit permissions requests to the relevant people on your behalf and drive a hard bargain so that you don't pay a penny over the odds in location fees. 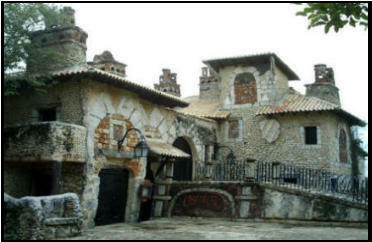 Most islands have roads and highways in excellent condition and many luxurious mansions reserved for international celebrities, around which coexist traditional houses of wood and very colorful Caribbean. There is also, bistros, traditional fishing villages, but also gourmet restaurants, great golf courses, etc..